Complete Details about Ufone Super Card Family, Super Card Mini, Super Card, Super Card Plus, Super Recharge, Super Minutes and Super Internet Offers. Ufone is one of the leading telecom operators in Pakistan, it is providing a wide range of offers for both prepaid and postpaid customers. Ufone is offering the lots of 2G/3G internet packages, calling and sms services, and also mobile phones with the high speed of internet connectivity in lowest possible prices. We have earlier discussed about the Ufone Internet Packages, and Ufone Call Packages, hourly, daily, weekly, monthly for both prepaid and postpaid customers and today we are going to discuss about the Ufone Super Card Family. The Ufone Super Card family carries to you savings and peace of mind under its services including Super Card Mini, Super Card, Super Card Plus, Super Recharge, Super Minutes and Super Internet Offers. You can subscribe to a vast range of products that are catered to all your needs, by just purchasing the Ufone Super Card any of your choice to enjoy all resources at an amazing price. So if you’re wondering how to enjoy Ufone Super offers or how to buy Super Cards.Just see the offers below and choose any of your choice. Ufone Mini Super Card is available in just Rs.299 and after loading this mini super card you can enjoy lots of minutes, SMS and MBs for the complete 15 days. How to subscribe Ufone Mini Super Card Offer? In order to subscribe the offer dial *230# before loading the card. Ufone Super Card is available in just Rs.520 and after loading this super card you can enjoy lots of minutes, SMS and MBs for the complete 30 days. How to subscribe Ufone Super Card Offer? In order to subscribe the offer dial *240# before loading the card. Ufone Super Card Plus is available in just Rs.599 and after loading this super card you can enjoy lots of minutes, SMS and MBs for the complete 30 days. In order to subscribe the offer dial *250# before loading the card. Ufone Super Recharge Offer is available in just Rs.45 and after getting this super recharge offer you can enjoy lots of minutes, SMS and MBs for 2 days. 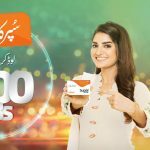 How to subscribe Ufone Super Recharge Offer? In order to subscribe the offer dial *300#. Ufone Super Minutes Offer is available in just Rs.100 and after getting this offer you can get the 100 free minutes for all the networks. You can enjoy these minutes for 7 days. How to subscribe Ufone Super Minutes Offer? In order to subscribe the offer dial *210#. Ufone Super Internet Offer is available in just Rs.100 and after getting this offer you can get the 1GB of internet data for 7 days. How to subscribe Ufone Super Internet Offer? In order to subscribe the offer dial *220#. How to buy these offers? You can visit your nearest retailer, or subscribe through ‘My Ufone’ App. Ufone Mini Super Card, Super Card, Super Card Plus, Super Minutes and Super Internet can also be availed through ULoad. These cards can also be purchased via Credit / Debit Card through My Ufone app under Bill payment option. How to check the remaining incentives? You need to dial *706# to check the remaining incentives Or download My Ufone App. Ufone Super Mini Card is valid for 15 days. Ufone Super Card and Super Card Plus are valid ofr 30 days. Ufone Super Minutes and Super Internet valid for 7 days. Ufone Super Recharge is valid for 2 days. These offers are only available for Ufone prepaid customers only. There is no additional tax or charges. Calls made to voice buckets, short codes, UAN and NTC numbers are not included in these offers. Everything About Ufone Super Card Family. Complete Details about Ufone Super Card Family, Super Card Mini, Super Card, Super Card Plus, Super Recharge, Super Minutes and Super Internet Offers.